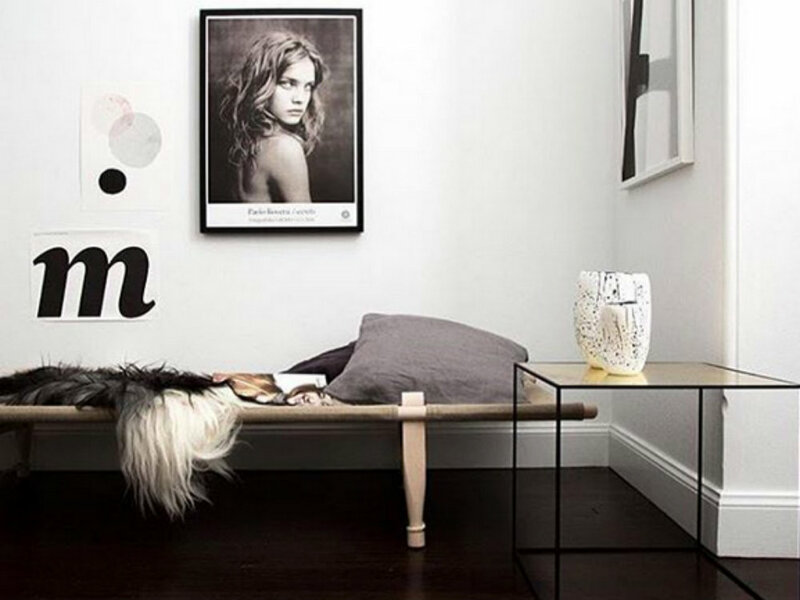 Add a little artistic drama to your room by creating a gallery wall. Simply display a series of prints in a tight grid of small frames to create the same impact of a large imposing piece of art. 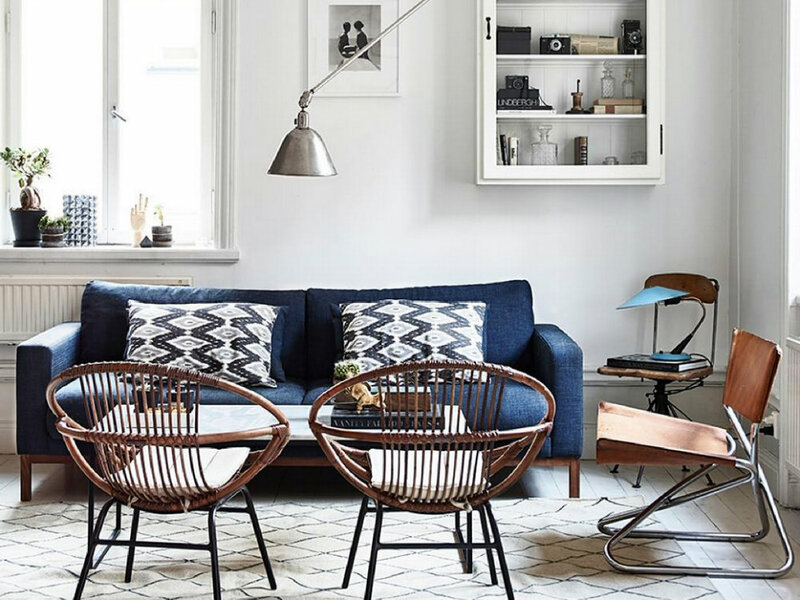 Make your room look that little bit more curated by following the rule of two.Choosing dual accents when it comes to coffee tables, lamps, pillows, chairs and frames will give you a visually appealing, balanced look. 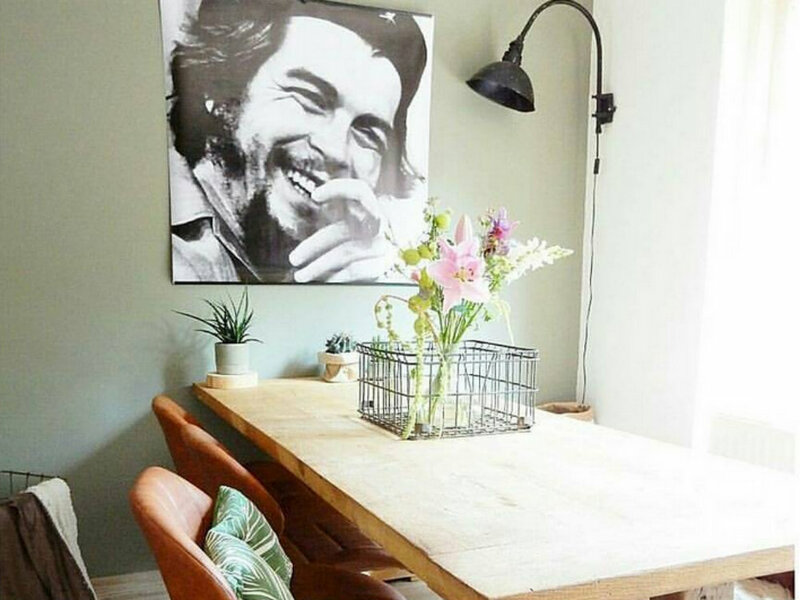 If your interior palette is feeling a little beige and bland (rental properties, we’re looking at you), try picking out one accent colour you love to add a pop of vibrancy. 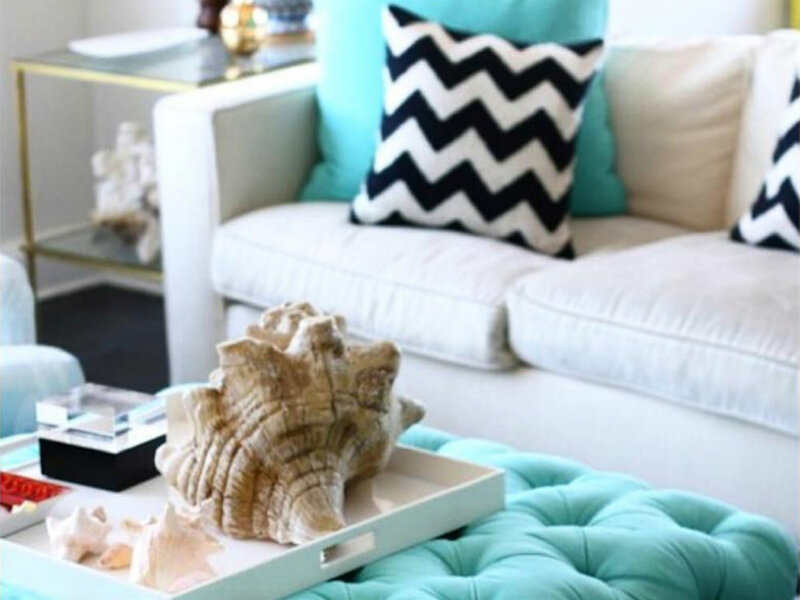 Turquoise is perfect for adding a splash of bright colour to a plain cream room as it works so well with neutrals. 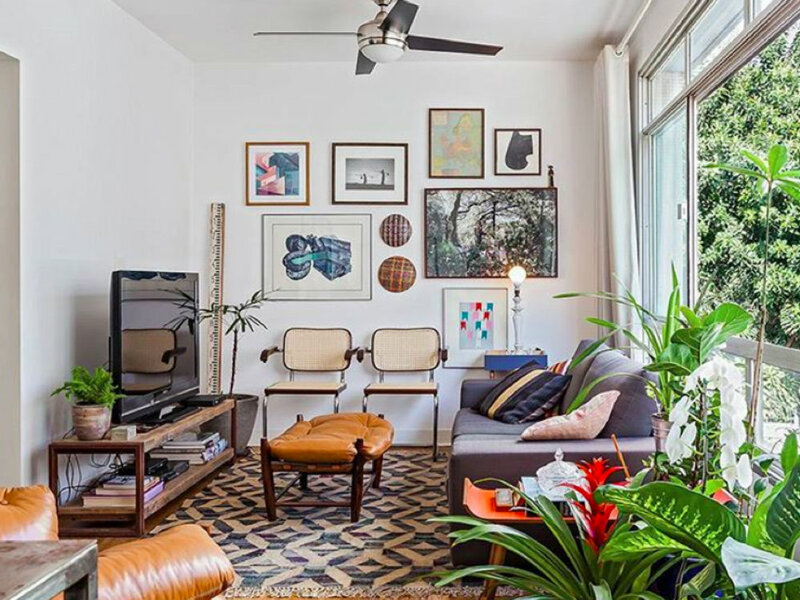 Work it into the scheme with a few cushions and an eye-catching rug. Metallics are great for adding an elegance to any room and can be incorporated through simple, subtle touches. 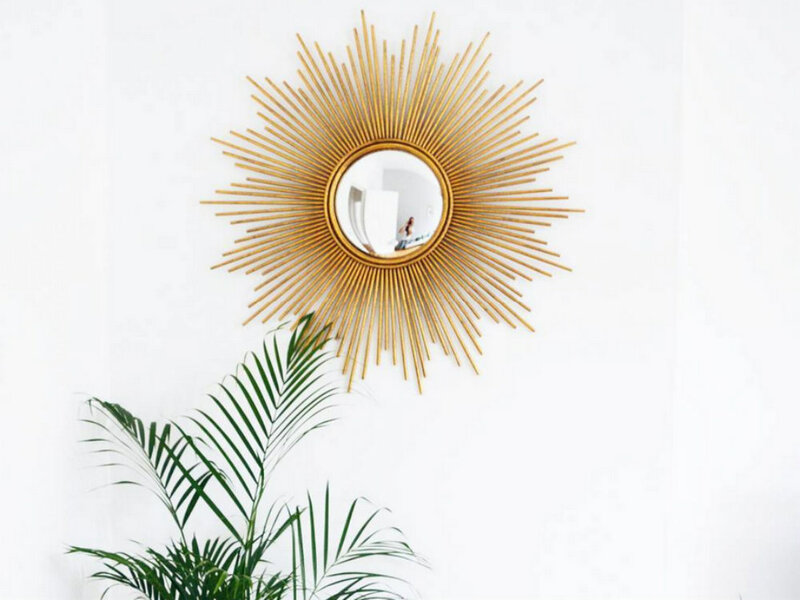 Incorporate them through bold metal-framed mirrors or bronze-legged furniture for an easy starting point. You don’t have to cover your room in chintzy florals to make it feel like you’ve brought nature indoors. Adding shades of green to a black-and-white scheme will automatically add an element of the great outdoors to any room. Love that slick Scandinavian minimalist look but worried about all white interiors looking too stark? Add a by touch of warmth by combining a dark wooden flooring with clean, white furniture. You don’t need to replace your current floorboards either – simply adding a darker stain will give you the desired effect. Not everyone wants to have matchy-matchy colour schemes throughout out their living room or stick to sensible neutrals either. Make a statement and add some bright colour by choosing one bold piece of furniture. 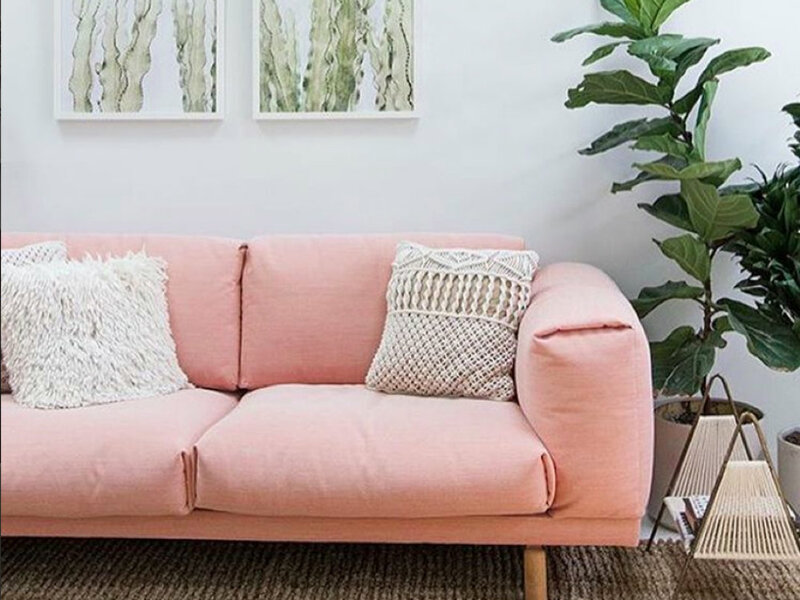 A pink-coloured sofa, for example, makes a brilliant focal point for any neutral living room.